PRESENTING: The Clemson Tigers. Not just "Auburn with a Lake", Clemson is a powerhouse in college baseball. It's a program that has had success since the early days of their first NCAA Regional Appearance in 1947 where they were knocked out a Yale Squad led by future president George H. W. Bush. 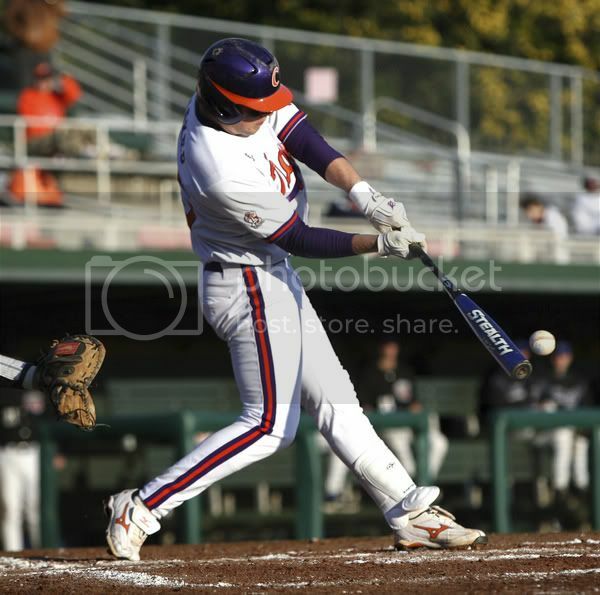 Clemson is an historically dominant team with 35 NCAA Tournament Appearances (6th all time), 11 College World Series Trips (11th all time) and had a streak from 1987-2007, a 20 year span, where they made 21 consecutive trips to the postseason. 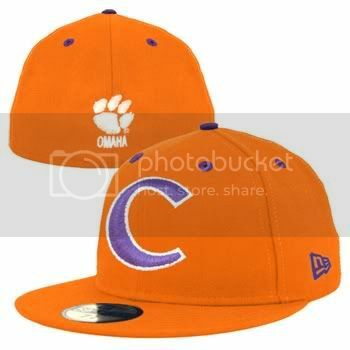 This year will mark the 46th consecutive winning season for Clemson Every year the Tigers have one goal and they wear it on the back of their caps: OMAHA. PREVIOUSLY: Clemson and Auburn are no strangers on the diamonds. Auburn holds a 47-40-3 mark against CU and that includes series wins in 2003, 2004, and 2005 Clemson and Auburn are no strangers to meeting in the postseason, either. AU and CU have met 9 times in the NCAA Tournament. Clemson own a 5-4 edge in those games but Auburn has won the last 2 (1994 AU 11 CU 5; 2003 AU 15 CU 0). This season Clemson has been up and down and is a hard team to figure out. They did take a series from South Carolina and swept Florida State in their final ACC series, but they've also dropped head-scratchers to Wake Forest, Duke, and North Carolina, 3 Teams that field to make the ACC Tournament. Still they come in with a 38-21 Record and are ranked as high as #16. There has never been a Clemson team that is a pushover and though their record might not reflect it, Clemson has the offense to compete with anyone. 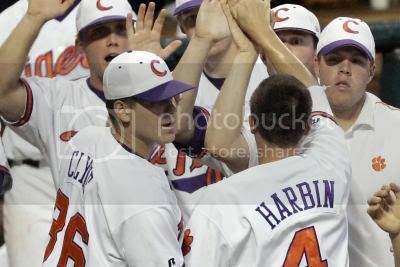 Parker made an immediate impact on the Clemson baseball team in the spring of 2008 as he played in 57 games making 55 starts. He finished the season with a .303 average, 14 homers, and 50 RBI. He also had a slugging percentage of .559. He picked up several awards for his stellar play including First-team freshman All-American by Baseball America and Collegiate Baseball. He was one of only two freshmen on that was named first team All-ACC in 2008. Kyle had a minor sophomore slump in 2009 as he appeared in 63 games (60 starts) while missing a three game set against Boston College for a spring football game. He finished the season with a .255 batting average with 12 homers and 52 RBI. He finished the season with a .442 slugging percentage while striking out 52 times and getting 29 walks. In last season’s Top 50 countdown that I did, we had Parker as the 32nd best player in the country. We dropped him lower this season due to the fact that Kyle has been the starting quarterback for the Clemson football team this season. He is currently listed as playing baseball in the upcoming spring and should be drafted pretty high in the 2010 MLB Draft but will his football responsibilities start to affect his play on the baseball field. It affected him during the 2009 season, so we expect that his commitments on the football field will continue to affect him mentally and physically. Just how good is Parker? 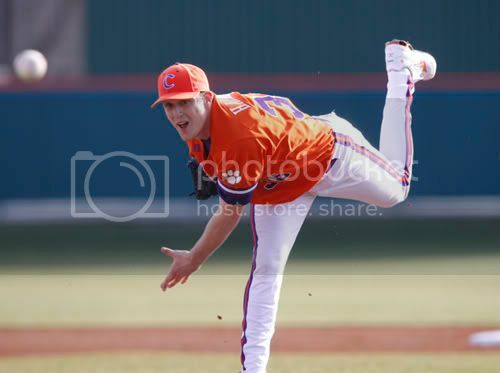 Good enough that he could pass up a career as Clemson's starting QB for MLB money and the consensus is that Parker is good enough to be a 1st Round pick. Honestly, that won't matter in this Regional. Still, with a .364 avg, .709 Slugging %, .496 OBP, and 57 RBI, Parker is a stud and a dangerous weapon every time he gets to the plate. PREVIEW: You want a team that is Auburn's Doppelganger? You found it in Clemson. They have absolute mashers up and down the lineup. They are Junior heavy (7 of their 9 normal starters are 3 year guys, with 5 Jrs/1 Sr/and 1 RS Soph). It can be a scary offense when it clicks. The only edge is pitching. 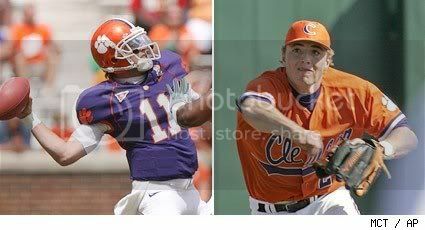 I haven't really seen a pitcher on the Clemson staff who I think could shut down Auburn. They don't have a stud arm like Southern Miss and Copeland. What they do have are solid arms and enough options to play matchups throughout the tournament. Junior LHP Casey Harman is their most consistent guy and somewhat of their defacto Ace with a 6-2 Recoerd and 4.14 ERA. The Pitching staff is strikeout heavy (a 2:1 K:BB ratio). For Auburn, the key will be limiting the firepower of Clemson while keeping their own bats hot. PREDICTION: Hard to pick this one because you never know what Clemson team will show up. Will it be the Tiger team that swept Florida State? 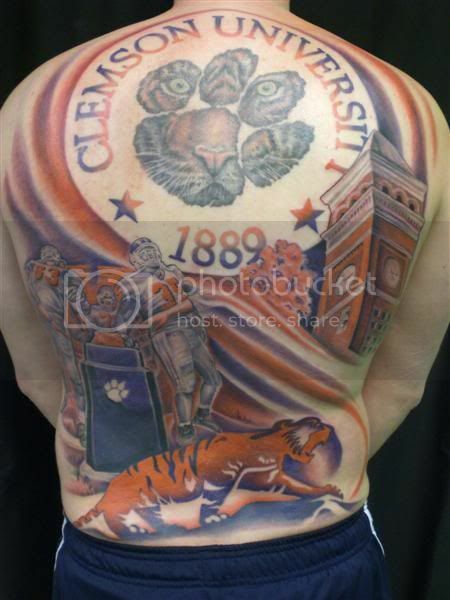 or the Tiger team that somehow lost to Wake Forest and Duke? When they click, they can beat anyone. When they struggle, they struggle mightily. Still, I won't pick against Auburn in the Regional.